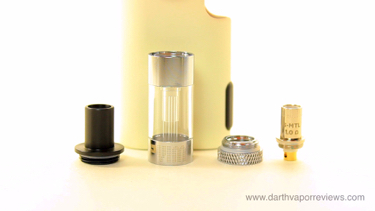 To add a coil, push down on the drip tip and twist to unlock the tank and remove. Unscrew the base from the tank. The VIM tank can be disassembled into four main parts for cleaning. Screw a new coil into the tank base. Prime the new coil with a couple drops of e-liquid. Re-attach the base to the tank. Insert the tank into the VIM body. * Only one coil included. * Lightweight pocket friendly design. * Two airflow control options. The Jac Vapour VIM is a compact 2600 mah, all-in-one (AIO) device with a 2 milliliter e-liquid capacity. The kit comes in sturdy cardboard box with a slide-off sleeve. Inside the box, the kit includes a User Manual, a micro USB charging cable, a 1.0ohm mouth to lung S-coil and the VIM battery with included VIM tank. The VIM contains a 2600 mah battery with a push and twist 2 milliliter topfill tank capable of sub-ohm direct to lung (DL) or mouth to lung (MTL) vaping depending on the type of coil used. 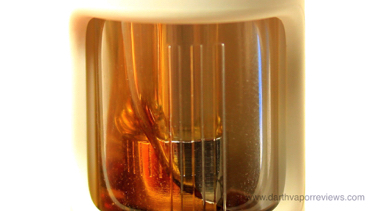 The VIM is roughly 3-1/2" in height by 1-5/8" in width. Charge the VIM via the micro USB port located on the bottom of the mod. 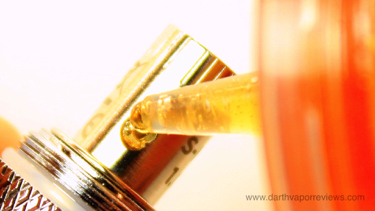 Unscrew the mouth tip and fill with e-liquid through one of the two fill slots avoiding the center air tube. 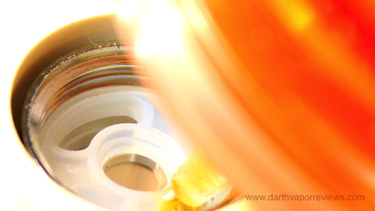 Once the tank is full, replace the top fill cap. Sharply flick the VIM downwards a few times. On the bottom is two airflow settings. Switch the plug for mouth to lung or direct to lung airflows. 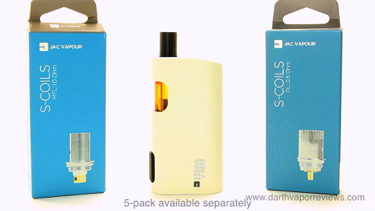 The kit comes with a 1.0 ohm MTL S-Coil which is similar to a cigarette in power. 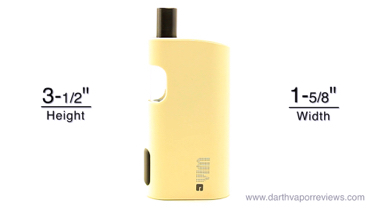 The VIM also offers MTL coils in 0.7 and 0.45 ohm as well as 1.0 and 0.5 ohm direct to lung coils. The button is also near the bottom as opposed to the top or middle. Personally, I like this position and I find it easy to use. My only real con is the kit only comes with one coil. It works great, but given the track record for coils, it's always nice to have at least two.Overall, it's a great pocket friendly mod that is easy to use and it works great. I like the VIM. I wasn't thrilled with the off White color at first, but I was surprised how clean it stays. It has a smooth rubberized surface which has a nice feel to it. It is extremely lightweight for it's size with a comfortable ergonomic design. The tank is easy to use, however the model I received does have a little play in it. I really like the big button. 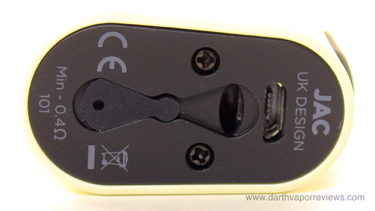 It's easy to use, so I have fired it by accident a few times, but I prefer that over hunting for the button. 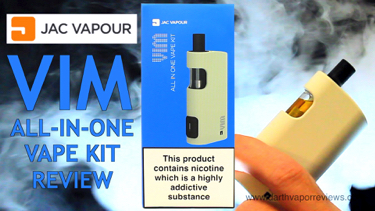 The Jac Vapour VIM AIO Starter Kit currently runs in the $30-$35 range and comes in an off White color.